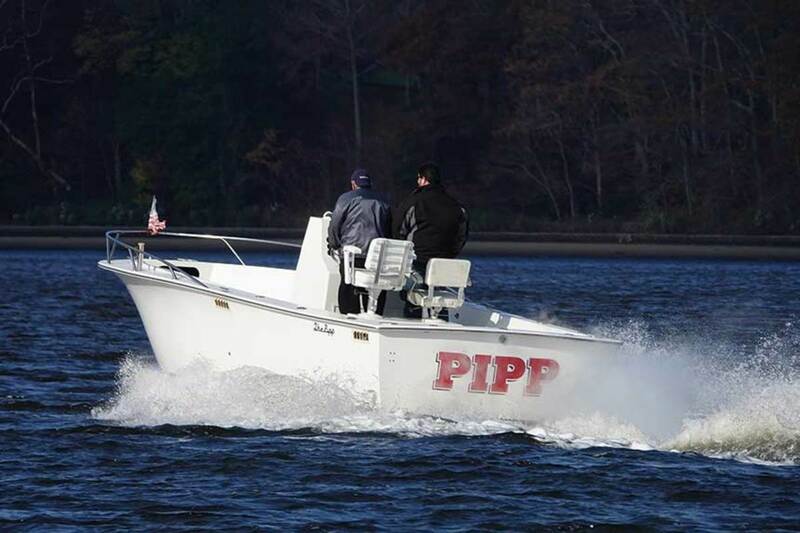 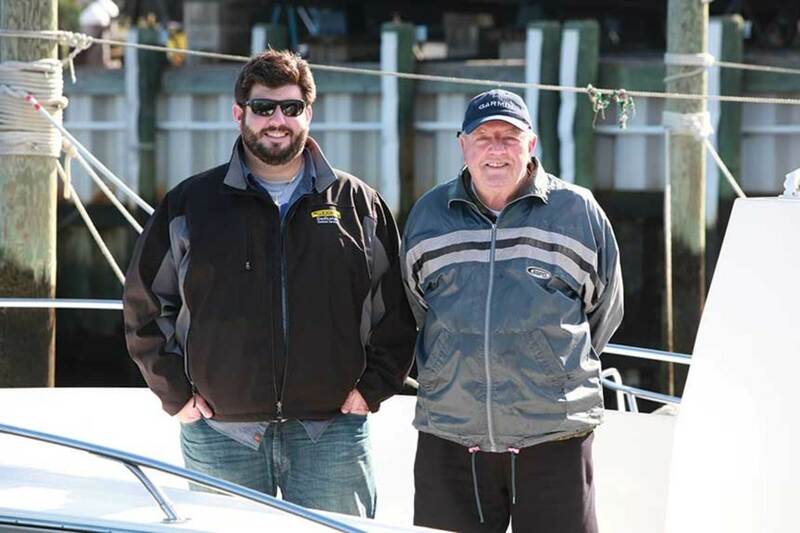 Ron “Pipp” Rhodes and his son Ron on the Pacemaker near his home in New Jersey. 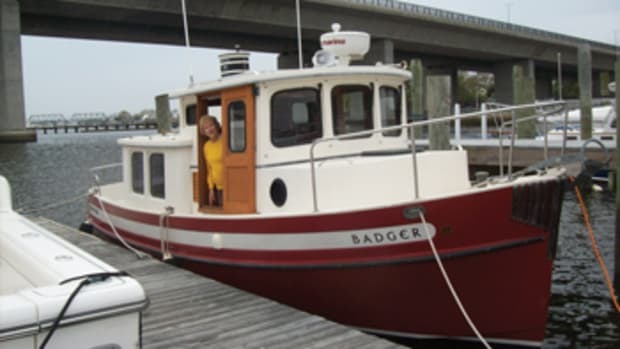 The Pacemaker Wahoo 26 is a husky-looking, no-nonsense fishing boat with high freeboard, a modest sheer and a broad, rounded transom. 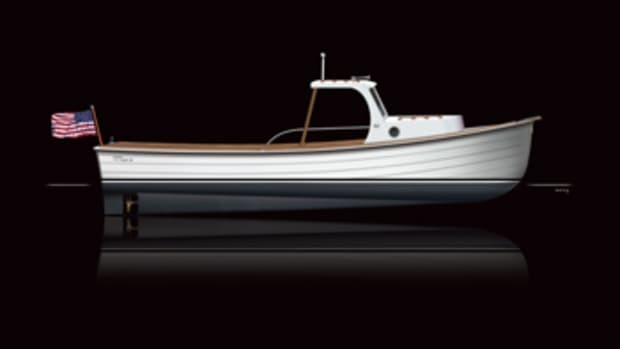 Power comes from a single gas inboard with conventional running gear. 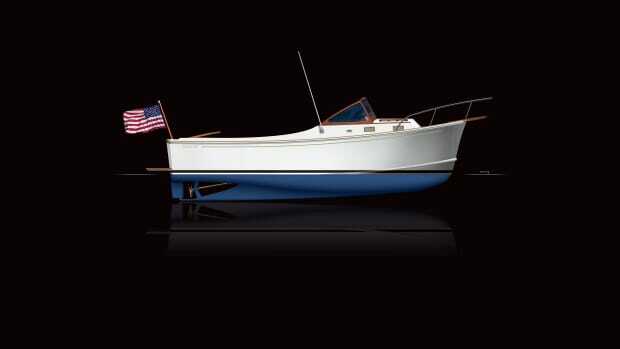 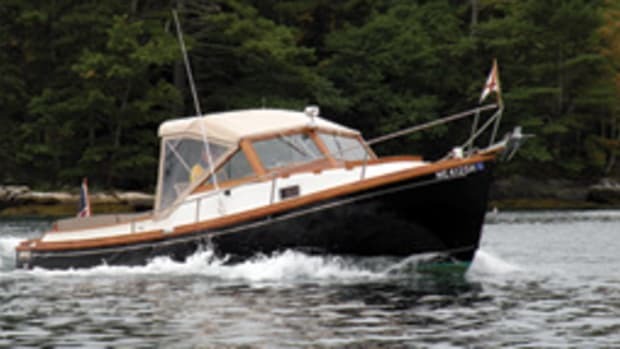 The boat has an all-fiberglass, modified deep-V hull with a hard-chine bottom and lifting strakes. 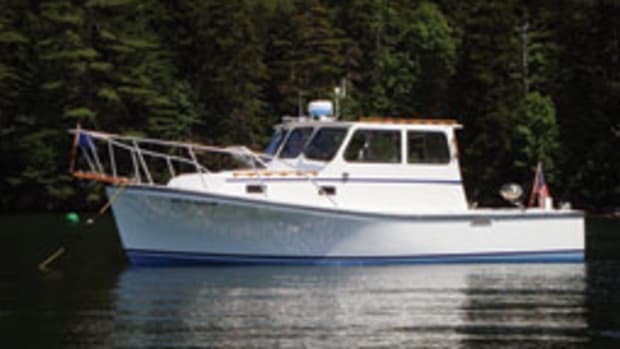 The wide gunwales (equipped with eight rod holders) surround a deep, walkaround deck with low handrails forward. 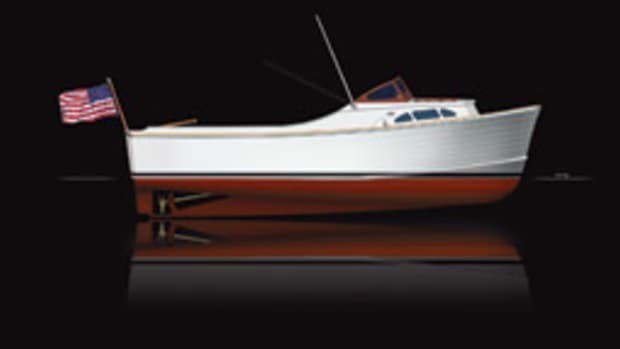 Rod stowage compartments with locking doors are under the gunwales on both sides of the cockpit. 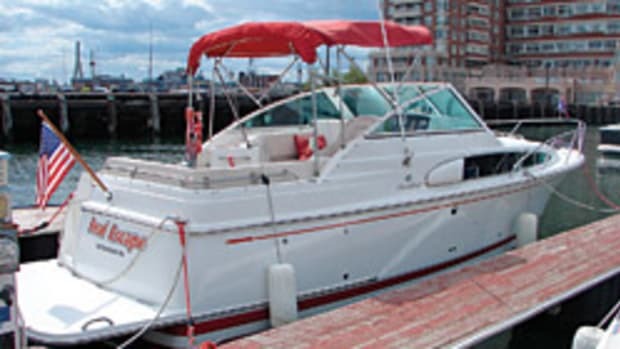 The bow has a raised casting platform with an in-deck locker. 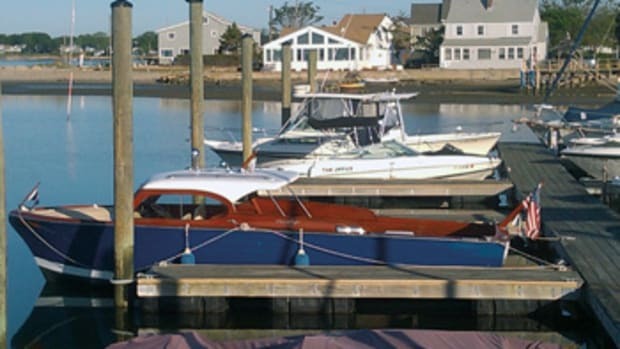 The engine box is just abaft amidships, providing a base for pedestal seats at the center console.